Here is part two of the reviews. Please find part one here. 16. 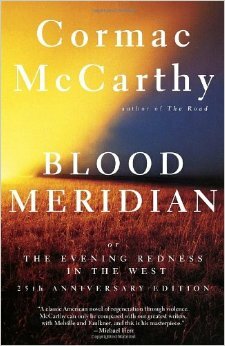 Blood Meridian, or the Evening Redness in the West: This book is based on historical events that took place in the 1850s, on the Texan Mexican border, surrounding the Glanton gang and its depravities as they massacred their way across the west. A fourteen year old known as "Kid" stumbles upon this nightmare, the violence is gratuitous, relentless and eventually exhausting as it breaks the reader's spirit (not in a bad way), as Cormac McCarthy wrings one out to dry in the bleak bleak west. It is a marvellous subversion of the western in that it strips it completely of the romanticism and heroism, but is true to its solitude and barrenness. I would have liked more character development (apart from the Judge), and I wished McCarthy had written the novel in the same manner he portrayed the Judge. 17. Annihilation and 18. Authority: These are the first two books of the Southern Reach trilogy by Jeff VanderMeer. VanderMeer has contributed much to steampunk and weird fiction, but this is a very frustrating series. 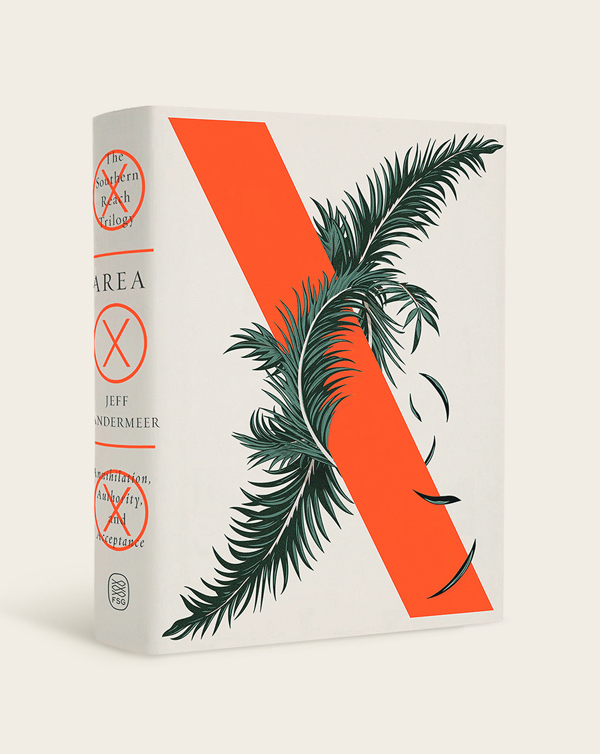 The first book Annihilation starts out very promisingly, as we are led into Area X, which has been cut off from the rest of the world for ages, and Nature has reclaimed its habitat and changed it to something beautiful, scary, surreal and unpredictable. It is weird, and though there are echoes of Lovecraft and Clark Ashton Smith, it is not haunting enough to draw you in. And the characters themselves seem like placeholders much like the last few seasons of Lost, though I would rather have this book than go through Lost again. Authority, on the other hand, just drags and drags as we are introduced to characters outside Area X and the Southern Reach. It takes too long to get to the explanation, which itself is not too compelling. There's the endless description of bureaucracy and some weird mysteries that are not fascinating enough to be left unsolved. I'm not sure if I'm going to read the final book in this trilogy. 19. 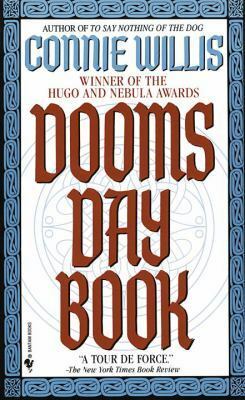 Doomsday Book: Extremely repetitive in its narrative, especially in the use of the lavatory paper joke, this book by Connie Willis is about historians exploring the past with the help of a very unconvincing time travelling device. The redeeming aspect of this book is the family during the time of Black Death, and their struggles. The technology of the future was underwhelming, as people incessantly punch the numbers into telephones and find busy signals, and is basically the technology of the 90s shoved into the future, so it doesn't even work as a retro/nostalgic representation. Some of the description of the Black Plague might be interesting as an education, but you would rather learn about it elsewhere. 20. 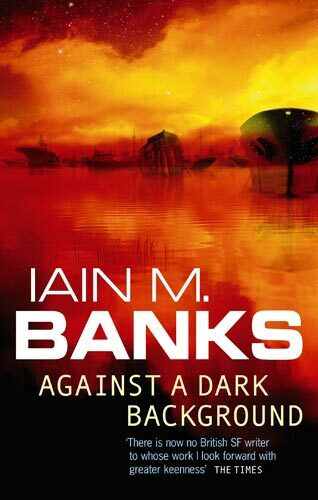 Against a Dark Background: This novel of Iain M Banks is not part of his Culture series, and is his first non-Culture science fiction book. It has all the elements that form part of an enjoyable Iain M Banks book: great characters that leave a lasting impression, an exciting adventure, an imaginative world, a convoluted, witty, non-linear construction of the exposition. The plot involves Lady Sharrow, a leader of a complicated combat team and her hunt for the last remaining Lazy Gun, whose effect is random ranging from (for example) an inexplicable wild animal attack on humans to a spontaneous comet impact on a city, a Gun with a certain sense of humour and disdain for humanity. There's also a hilariously absurd yet believable religious cult, whose motive, which results in the pursuit of the Lady Sharrow, shall not be expanded on further here for reasons of spoilers. A group of mercenaries, Solipsists, then throw their own absurd wrench in the plans of the cult and that of our adventurers. There is a very wonderful portrayal of meaningful friendships and love, amidst the classic Banks action and technology. The story dragged a little towards the end but overall it is funny, dark and extremely thoughtful. 21. 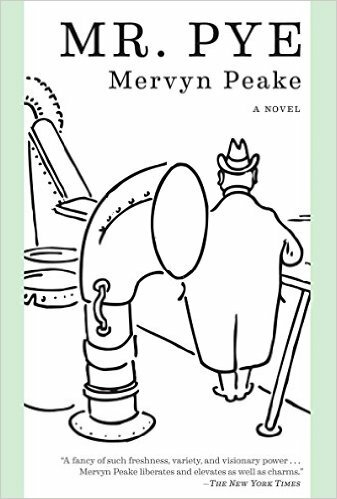 Mr Pye: Mervyn Peake's story of Harold Pye, as he lands on the island of Sark and goes on his crusade for goodness, is a fable that is elevated to dizzying heights by Peake's prose and the way he effortlessly moves back and forth between fantasy and the real, between silly situations and profound moral dilemmas. It is like walking through a maze of opulent description and not knowing whether you will find humorous denouements or horrific ones on the way. And to boot, they can be both and neither. It's one of my favourite books I read this year and it makes me want to visit Sark that much more. There's not much else to say other than that the word Peakesian ought to be in common parlance as much as the word Dickensian. 22. Araminta Station and 23. 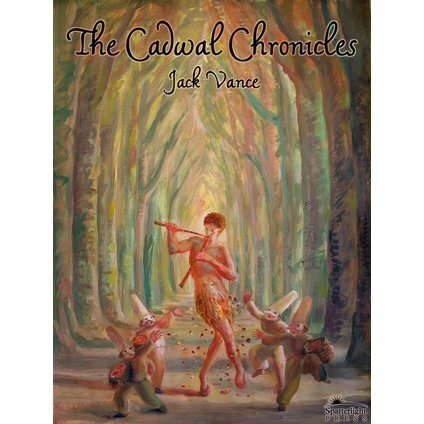 Ecce and Old Earth: If last year was when I discovered and revelled in Mervyn Peake, this year I applaud and appreciate Jack Vance. These two books are part of the Cadwal Chronicles Trilogy. In this first book, he begins the introductions and complexities of the byzantine aristocracy that was a result of treating the planet Cadwal as a natural preserve. We get to explore this world through the eyes of Glawen Clattuc and others later on, as their view on the world changes based on their experiences. The dialogue is formal and marvellous, and while some might find it unemotional (since very few of us talk in such a way, though I wish more would), this series is a goldmine for those who enjoy and appreciate clever dialogue and intricate socio-political issues. The second book, Ecce and Old Earth, carries on well from where the first ended, but it has fewer engaging characters, though several memorable, and some heart-breaking scenes make it just as enjoyable a read as the Araminta Station. I am keen to get started on the final book of this series. 24. 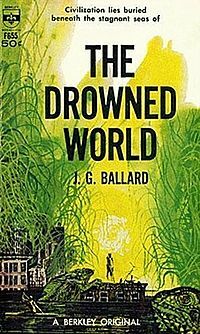 The Drowned World: No doubt that this was one of the first works of post apocalyptic fiction where a character is enraptured by the chaos around him. No doubt also that it is wonderfully escapist in an almost depraved kind of a way. And there is no doubt that J.G. Ballard's work is very distinctive and his painting of the Drowned World is so surreal and at the same time believable that it almost makes this a good read. But, the characters are dull, unengaging, and some of the depictions are racist. It probably didn't age well and felt like it belonged to an audience from colonial times and not to the new wave of science fiction which Ballard undoubtedly influenced. 25. 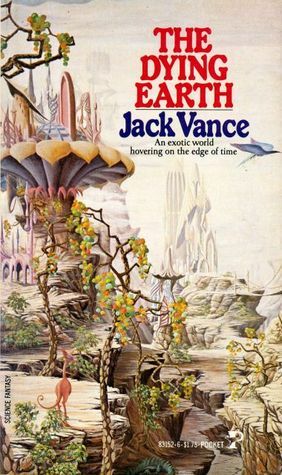 The Dying Earth: Jack Vance’s Dying Earth, which is the first collection in the Dying Earth series, is a collection of some chilling, meaningful, heart-breaking stories set in an undefined future of the Earth where the sun is dying and magic is a remnant of some labyrinthine and abstruse combination of mathematics and science. The magic is thus quite uniquely presented to us. The prose is very decorative and its verbiage untamed, as such reflecting the world around it and giving us the feeling that it comes from it. It’s hard to pick one from the collection of stories that stood out. Maybe Liane the Wanderer for its chilling tone. 26. Eyes of the Overlord & 27. Cugel Suga: Since I’m on the subject of the Dying Earth, I may as well cover two other books which are set in the same world. 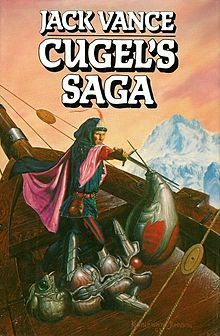 Commonly known as the Cugel's Saga, it follows the rogue wayfarer, Cugel, as he undertakes many adventures and misadventures, meets and swindles magicians, women, pretty much anything human and alien, and reaches his goal, only to lose it through his selfishness, only to gain it again through his opportunism and so forth. Cugel is an aesthete, picaresque classic anti-hero who could have been part of Dickens’ world. In that sense he is not unlike Fafhrd or the Gray Mouser but far less likeable. It is refreshing to see an author not repeating a blueprint of a successful book and take risks with the character and the plot to the point of almost telling the same story again twice but not quite. A recurrent theme, though, is religious intolerance and the dogma of faith. However, this is not overstated. The second book is much darker than the first and the ending is unexpectedly moving. 28. To Kill a Mocking Bird & 29. Go Set a Watchman: I’m glad I read these two back to back as it provided me an insight into Harper Lee’s growth as a writer. 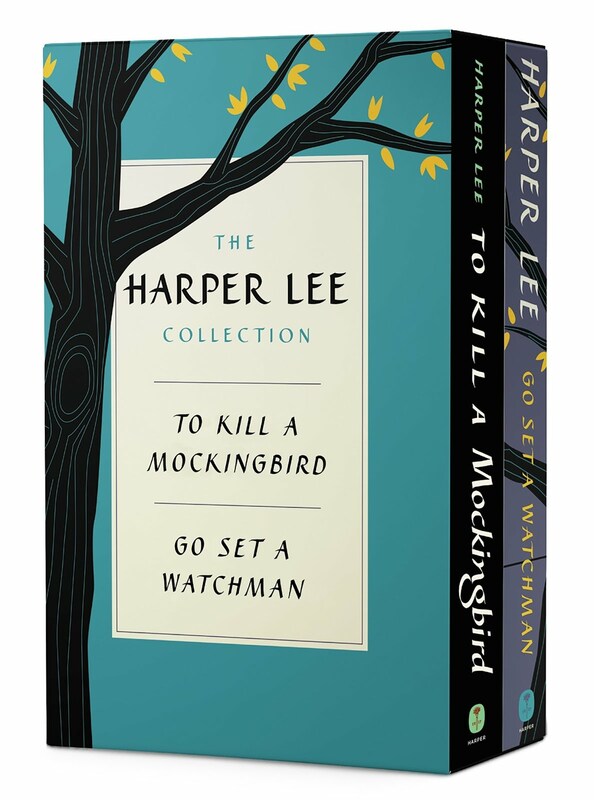 It felt to me that Go Set a Watchman was an early draft of To Kill a Mocking Bird. I suspect it was the book that Lee wanted to write, as it paints a more unflattering yet more realistic picture of the community in those times and asks more questions and presents more ethical dilemmas than the book that was published all those years back. Those who have questioned the sudden change of character in Atticus Finch perhaps have had a gap between the readings of the two books, for Atticus has been more romanticized as the years have gone by and To Kill a Mocking Bird is somewhat of a fairytale, and fairytales do have that effect on the memories of our favourite characters. It appeared to me to be a more complete view of Atticus from an older Scout who’s involved in a larger society than the younger one. To Kill a Mocking Bird is a better book in its structure, its consistency of prose and the juxtaposition of gothic themes with those of innocence, but Go Set a Watchman interrogates the racial injustice and social views more keenly and perhaps portrays them more accurately as well. 30. Xorandor: It is remarkable that Christine Brooke-Rose has been so overlooked and so underappreciated for so long. Perhaps it’s the relentless prioritization of realism over experimentation and estrangement. Brooke-Rose was a lost opportunity for literature, much like Ann Quin, to find other ways of capturing and expressing what is otherwise inexpressible or numinous (religious or otherwise), surely one of the aims of literature. 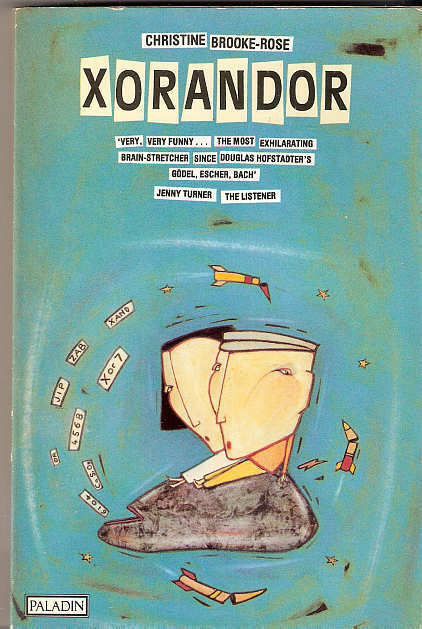 This book, Xorandor, the story of a stone and its influence on people, is an experimental novel that delves into the Cold War tensions, and tries to portray emotions through the computer language of COBOL. It’s witty, clever, moving and gently touches upon gender roles, philosophy, life and consciousness, and it must have taken certain nerveless chutzpah to make such an uncommon book. 31. 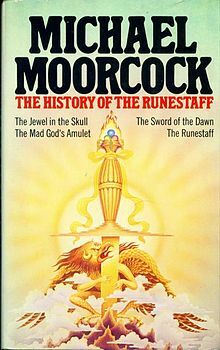 The History of The Runestaff: Michael Moorcock's four part fantasy series is combined into this one book. 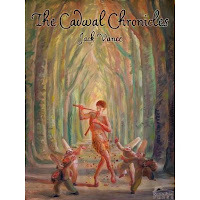 It is a very straightforward fantasy book with a very straightforward plot. The only interesting bit being the inversion of good/bad guys from World War II, i.e. making a German the main hero of the saga. The flow of the story is very choppy, predictable and dated. 32. Wuthering Heights: There is so much shrieking in this book, that one may as well call it "Shrieking Heights". No, I'm being facetious. I liked this book. Though nowhere near as much as I loved Jane Eyre. Yes, it's hard not to compare one with the other. The themes, the characters, the setting have the same Bronte essence to them. Whereas the tension in Jane Eyre is subtle and about to burst, it is very obvious what is happening in Wuthering Heights. It is thus not always an easy read, since the emotions of the characters are so on the surface and you are left wanting to take a breath. That approach to tension succeeds for the most part, but is not as engaging as what Charlotte accomplishes in Jane Eyre. 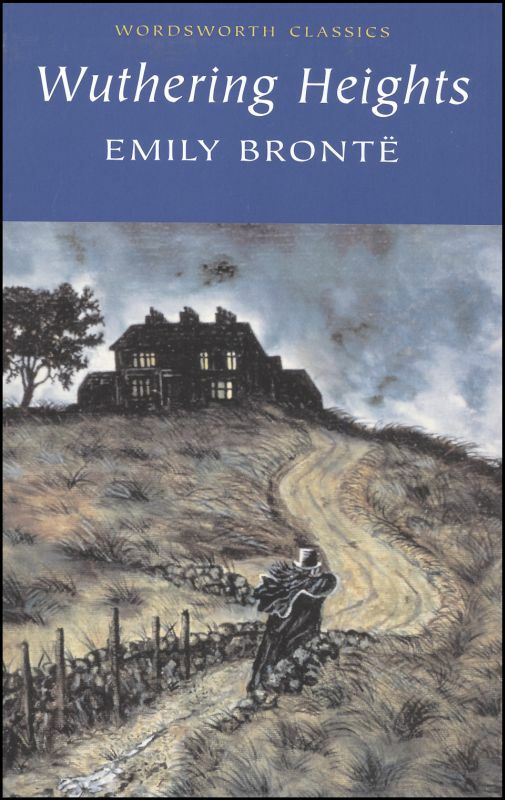 Emily Bronte, though, with Wuthering Heights, gives us a very eloquent portrayal of the storm that is Heathcliffe, and the bitterness harboured by the various characters here. 33. Last Call: My enjoyment of this book was likely to have been stymied by my lack of enthusiasm for most card games. 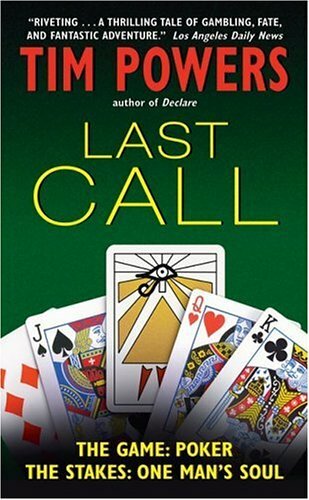 Like many of Tim Powers’ novels, Last Call features a complicated magic system, to explain various historical events involving the development of the Las Vegas casinos and the life of the mobster “Bugsy” Siegel. The central magic here revolves around some tarot cards, and certain individuals use them to gain power. In this setting, the legend/myth of the Fisher King is interposed along with snippets of T.S Elliot’s Wasteland, perhaps a little too bizarrely for my taste, and in the latter case is a little too contrived. Given this backdrop, the outcome and the finale of the story is rather predictable. It is an interesting read nonetheless and Tim Powers is the master of building intricate alternate histories that are very well researched, consistent and enjoyable. 34. More Than Human: It’s almost impossible to say much about this book without giving the central plot away. 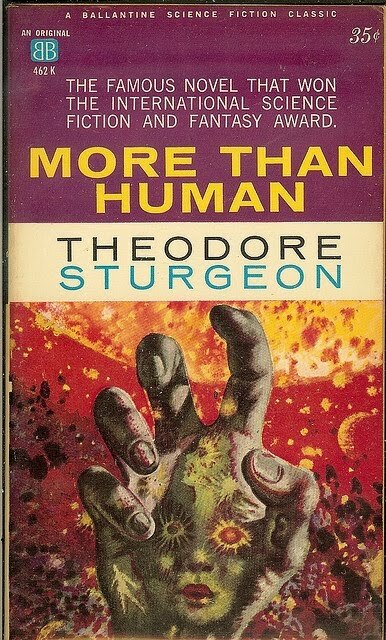 Theodore Sturgeon fabricates a science fiction classic that depicts loneliness and tries to figure out what it means for a living being to be complete. There are layers of deep meaningful psychology here about humanity, loneliness, companionship, love and our evolution as a species. The prose is lush and lovely and fits the tone of the book. More Than Human does what a lot of fine science fiction is capable of, makes us see ourselves for what we are and ponders what we can become.